You are currently browsing the category archive for the ‘Home movies’ category. The National Film Preservation Foundation just released the list of recipients of the 2012 Federal Grants ground. 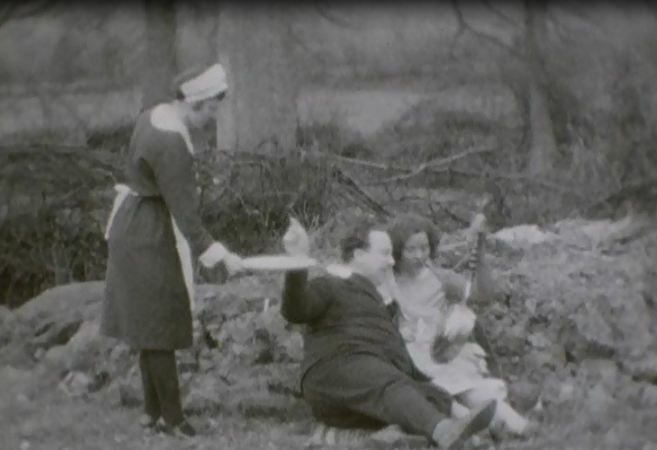 The grants include the following home movies and amateur films. Bonhiver Films, (1939), home movies shot by two brothers traveling on Europe on the eve of WWII, including footage of a Hitler Youth rally and the rescue of a torpedoed ship (National WWII Museum). Charles Norman Shay Collection, (1955–62), home movies by a Penobscot tribal elder (Northeast Historic Film). Ernest Beane Collection, (1935-46), home movies shot by a Pullman porter at home and along his travels (African American Museum at Oakland Public Library). Everly Brothers Home Movies, (ca. 1957–58), home movies of family and performances, with appearances by Roy Orbison and Buddy Holly (Country Music Hall of Fame and Museum). George T. Keating Home Movies, (ca. 1929), only known footage of novelist Ford Madox Ford (Washington University in St. Louis). Harris H. Stilson Collection, (1929–1931), home movies of a streetcar conductor’s travels around Richmond and rural Virginia (Virginia Commonwealth University). John Kenneth Caldwell Collection, (1930s), home movies shot by an American diplomat in China and Thailand (Hoover Institution, Stanford University). Troy Youmans Collection, (1940s–50s), home movies of downtown Atlanta, including the 1946 Winecoff Hotel Fire (Atlanta History Center). Vorkapich Home Movies, (1940), playful family montage by Slavko Vorkapich, the experimental filmmaker who headed the USC School of Cinematic Arts from 1949 to 1951 (University of Southern California, Moving Image Archive). 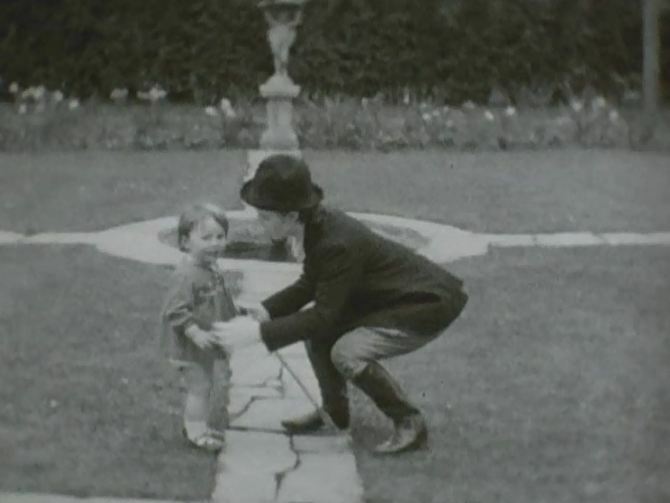 Wisconsin Family Vacation, (ca.1937–43), home movies of a railroad trip to the 1939 Golden Gate International Exposition (Wisconsin Center for Film and Theater Research). In this video interview, artist Joan Vorderbruggen discusses an installation she created last year as part of the “Haunted Basement” show at Minneapolis’s Soap Factory. Vorderbruggen incorporated and reenacted a particularly disturbing reel of her family’s home movies (in her words, a “shocking piece of Americana”) as part of the Halloween season exhibit. Never-before-seen footage of the Royal family, including home movies of and by the Queen, are to be shown in a BBC documentary – in a tribute by the Prince of Wales to his mother. In it, Prince Charles shares his family memories, providing insight into Queen Elizabeth’s public and private life. The Queen is celebrating her Diamond Jubilee, marking her 60 years on the throne. The documentary includes footage – filmed by the Queen – of nine-year-old Charles and his younger sister Princess Anne on a family beach holiday in Norfolk in 1957. 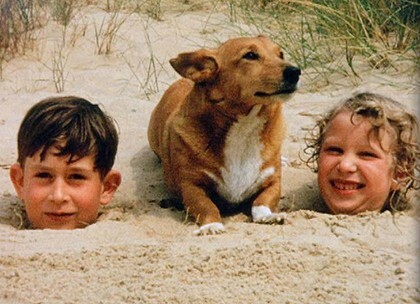 The two children are seen buried up to their necks in the sand with a corgi dog between them. Throughout the film, the prince shares his memories of the Queen while adding his own commentary and insights. Notes on Hitchcock’s Home Movies by Dwight Swanson. All images courtesy of the Hitchcock family and the Academy Film Archive. Special thanks to Lynne Kirste and May Haduong. In 2006, as I began working on the production of Amateur Night, a 35mm compilation film of home movies and amateur films from American film archives, high on my list of films to include was something from Alfred Hitchcock’s home movies from the Academy Film Archive. 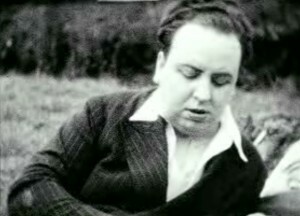 Hitchcock’s home movies have not been widely seen, but they are far from unknown, since they have been shown at the Academy, most notably at their “Hollywood Home Movies” screenings, as well as used in occasional documentaries, such as Hitchcock: Alfred the Great. The collection, which was donated to the Academy by the Hitchcock family, contains a mixture of 8mm and 16mm reels in black and white and color, shot both of and by Alfred Hitchcock. There is footage of him on the set of Blackmail and Frenzy, but most of it is pretty typical home movie fare of the family on vacation and at their country home in Sussex. Depending upon one’s perspective, it is either a disappointment or a relief to discover that home movies of one of the most iconic directors in film history are more or less the same as those shot by your uncle. Judging by how often he appears in the films, the camera remained constantly in motion between his hands and his wife and collaborator Alma’s, and surprisingly, it is when Hitchcock is in front of the camera that the films really come alive. 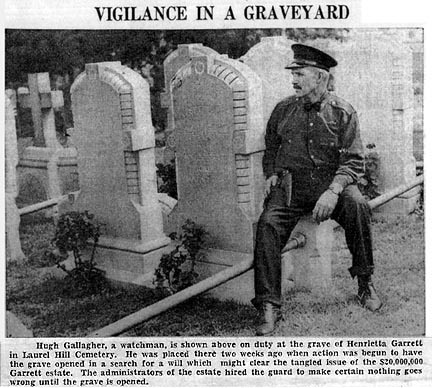 Hitchcock, it turns out, was more than a little playful when in his natural element, and there are numerous charming scenes of him eating a banana backwards, posing proudly in his long underwear, awkwardly riding a bicycle, and generally mugging for the camera at every opportunity. The segment I chose to include was among the most cinematic of all of his home movies. Beginning with a brief comic vignette, Alma, dressed in a riding outfit reminiscent of Charlie Chaplin, catches Hitchcock romancing another woman and grabs him, hauls him to his feet, shakes him and tries to kick him in the pants. 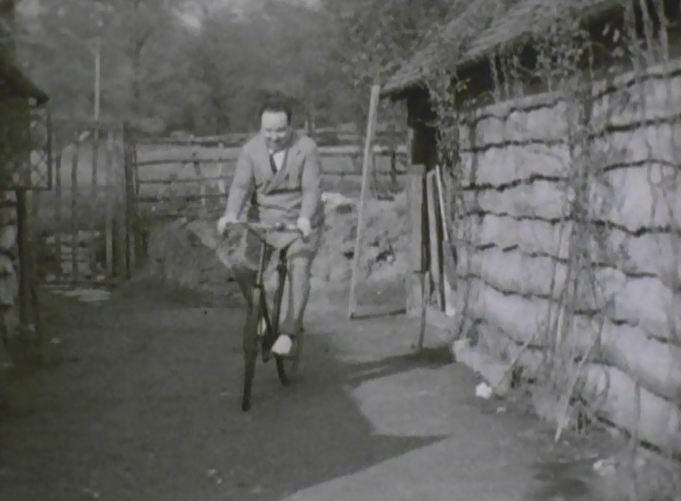 Filmed in 1930 or 1931 at the family’s summer home Shamley Cottage, thirty miles southwest of London, the rest of the reel depicts games of tennis and other leisurely activities with their guests, including actors Edna Best and Herbert Marshall. This special Home & Amateur post is in support of the Film Preservation Blogathon. Please donate! Funds raised in this year’s blogathon will go to the National Film Preservation Foundation for a new score and online access for the 1923 melodrama The White Shadow, the first film Alfred Hitchcock had a major role in creating (assistant director, screenwriter, film editor, production designer, art director, set decorator). The House of Alijn, in Ghent, Belgium, according to its website, “tells a timeless story about the culture of everyday life, a magnificent tale about all things great and small.” One element of their exhibits is a series of commissioned films incorporating home movies. They can be found on their Vimeo page with the prefix FFF (for Focus on Found Footage). Nathalie Teirlinck’s contribution, the haunting Deconstruction of Memory (reconstruction of a dream) is shown below.